Located amidst lush green surroundings, Villa Santai Bali is known for its peaceful ambiance, freshly cooked breakfast, great salad, spring rolls etc. Waking up to the cheerful sound of the flowing river and chirping birds will make your day. The owner arranges the transport facility from the airport, which is an added advantage. 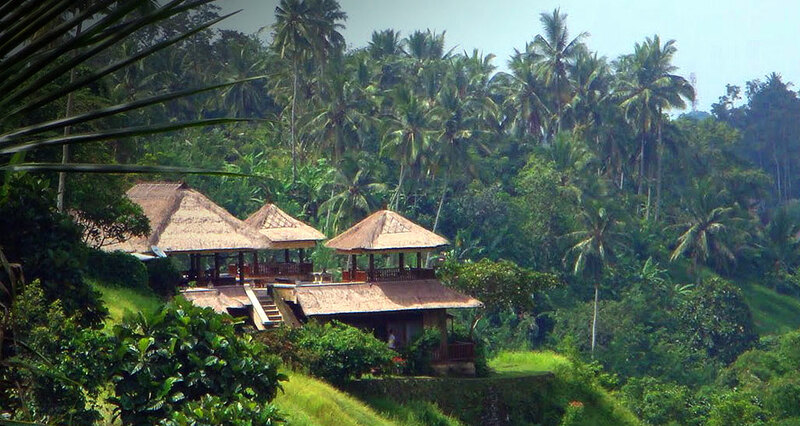 Villa Santai Ubud is one of the most serene 4-star properties in Balis cultural capital, Ubud. Surrounded by lush green forest, the hotel offers a comfortable stay to families and newlywed couples. Villa Santai Ubud features an outdoor pool and an in-house spa, which provides a full range of massage therapies and treatments. Moreover, this tropical hotel is located near to the small village of Melayang and provides splendid views of Petanu River Valley and rice fields. The rooms at Villa Santai Ubud boast of Balinese architecture, wooden interiors and decor. Further, its warm hospitality and incomparable amenities help offer memories for the lifetime. Its proximity to the nearby tourist attractions and public transport terminals makes it the right choice to explore Wisata Burung Kokokan, Elephant Cave and Ubud Monkey Forest. Savor authentic Indonesian as well as the intercontinental cuisine at the in-house restaurant. Witness stunning vistas of the river valley and paddy fields. Explore the local village lifestyle. Avail therapeutic massages at the in-house spa. Visit the nearby tourist attractions such as Elephant Cave and Ubud Market. Embark on a trekking expedition to Mount Batur. 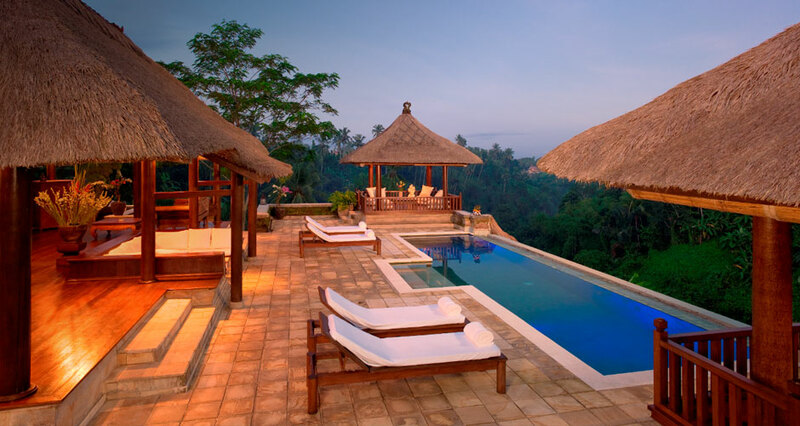 Want best Ubud Packages with this Villa? Villa Santai Ubud boasts of 4 villas, which come with an infinity pool overlooking splendid vistas of the river valley and lush green landscapes. Each room at the hotel has a private balcony and a spacious terrace area from where one can catch a glimpse of the surroundings. All the rooms are equipped with LED TV sets, refrigerators, wardrobes, lockers, mini-bars, and tea/coffee makers, as well as free Wi-Fi. Further, the staff members of the hotel offer personalized services and cater to all the needs of the guests. Apart from experiencing a comfortable and lavish stay, guests can experience a variety of facilities and activities at Villa Santai Ubud. The hotel houses an in-house spa, which provides various massage and body treatments. Guests can relax and let go of all the stress and anxieties by availing therapeutic massages at the spa. Further, tourists can also explore village lifestyle and catch a glimpse of the wide stretch of paddy fields. Besides, the hotel maintains a parking area, 24x7 front, and travel desks and foreign exchange counters. All the hotel rooms are equipped with essential facilities and complimentary Wi-Fi. It also offers an airport shuttle, laundry, housekeeping, and doctor-on-call services. The in-house restaurant of Villa Santai Bali allows the guests to choose from a variety of sea-food and Balinese cuisine. The hotel allows the guests to select from a wide array of menu, which include Eastern and Western cuisine. Further, Villa Santai Bali also provides complimentary breakfast to its guests. Moreover, tourists can also avail French, Italian, Australian and Chilean wines at the hotel premises. Villa Santai Bali is close to the nearby restaurants and bars, which are known for providing best Indonesian cuisine and drinks. Some of the nearby restaurants and bars are Locavore and Cafe Lotus. The word "Santai" in the Indonesian language means relaxation and healing. Thus, Villa Santai Bali caters to all the needs of its guests and promises to offer a comforting stay. Also, the hotel is known for striking the right balance between lavishness with contemporary richness. The hotel is approximately 1 hour 20 minutes drive from Ngurah Rai International Airport. Does the hotel offer airport shuttle service to the guests? What are the various activities which the hotel offers on the premises? 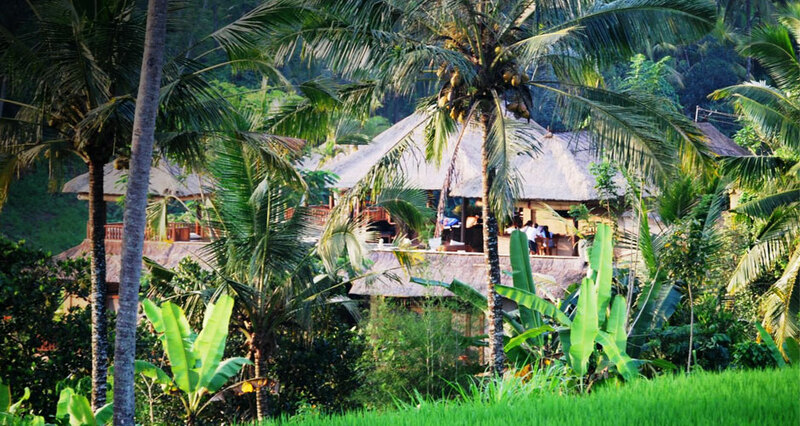 Villa Santai Bali offers its guests a variety of activities and experiences, such as indulging in spa sessions, trekking, exploring the village and witnessing the paddy fields. Does the breakfast is offered by the hotel without any additional charge? Yes, breakfast at Villa Santai Ubud is included in the price. The hotel offers authentic Indonesian breakfast to the guests. Is there a swimming pool in the hotel premises? Yes, Villa Santai Bali houses an outdoor swimming pool. Set in the vicinity of the cultural capital, Ubud, Villa Santai Bali is an ideal location to get rid of the hustle bustle of the city life. Villa Santai Ubud comes with all the functional amenities of a modern resort and the rooms at the hotel exhibit true Balinese tradition through the interiors and decor. Also, staff members of the hotel provide unparalleled services along with warm hospitality. Tourists can advantage of spa sessions and relax by undertaking massage therapies and beauty treatments. Near to a small village of Melayang, the hotel allows the guests to catch a glimpse of the stunning views of rice fields and river valley. Adventure enthusiasts can embark on trekking expeditions and can also explore the local village culture. Moreover, the in-house restaurant of the hotel provides a buffet breakfast to all the guests. The restaurant also offers French, Italian, Australian and Chilean wines. 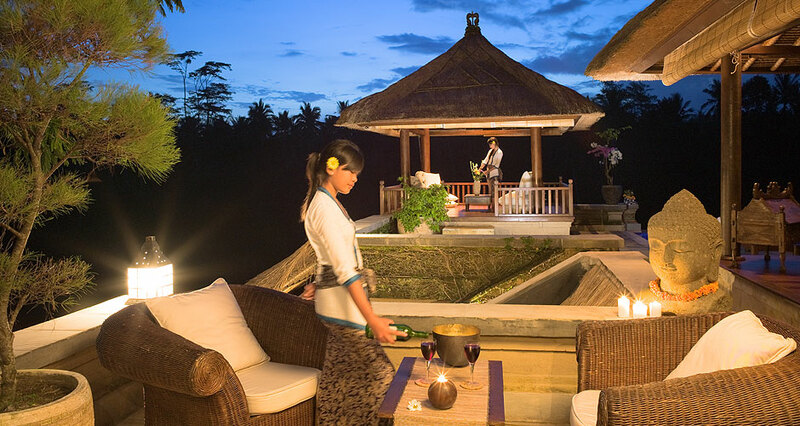 In addition, Villa Santai Ubud arranges weddings, dinner parties, and other functions. One can visit Ubud Market and savor the local street food and buy some souvenirs for loved ones. Villa Santai Bali promises to provide a comfortable vacation in Bali and is ideal for those who want to experience luxury on a budget.